N Joy Imitation Bacon Bits - 3 Grm. Chefs Finest Fine Meal Cracker - 25 Lb. Chefs Finest Medium Meal Cracker - 25 Lb. N Joy Grated Parmesan Cheese - 3.5 Grm. Fresh Gourmet Infused Cherry - 5 Lb. Cheddar Cheese Guppies Cracker - 2 Lb. Chefs Finest Non Dairy Creamer - 1 Lb. Rich Coffee Creamer - 2.5 Grm. Coffee Rich Creamer - 2.5 Grm. Coffee Rich Creamer - 1.2 Lb. Rich Coffee Creamer - 12 Oz. N Joy Non Dairy Creamer Canister - 14 Oz. N Joy Non Dairy Creamer 2.5 Grm. N Joy Non Dairy Creamer Canister - 12 Oz. 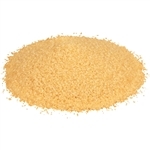 Medium Plain Crumbled Bread - 7.5 Lb. Plain Fine Crumbled Bread - 7.5 Lb. Fresh Gourmet Dried Fruit Blend - 1 Oz. Fresh Gourmet Wonton Strip - 0.5 Oz. Fresh Gourmet Wonton Strips - 1 Lb. Harvest Nut Blend - 0.5 Oz. Fresh Gourmet Crispy Jalapeno Strips - 1 Lb. Sugar Foods N Joy Brown Sugar Oatmeal Topping - 13 Grm. N Joy Non Dairy Creamer Packets - 2.5 Grm. Original Snack Mix - 1 Lb. N Joy Crushed Red Pepper - 1 Grm. Sugar Foods Crisp Fresh Preserve - 1 Oz. Pretzels Miniature Twist - 7 Lb. Golden Seedless Raisins - 10 Lb. Yellow Frame Farms Thompson Seedless Raisins - 10 Lb. Fresh Gourmet Tri-Color Tortilla Strips Salad Topping 1 Lb. 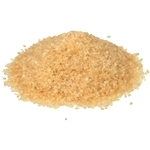 Sugar Foods Sweet N Low Sweetener Substitute - 1 Grm. Blue Diamond Confetti Snack Mix - 2 Lb. Spicy Snack Mix - 1 Lb. Sugar Foods Sweet N Low Sugar Substitute - 1 Grm. Sugar Foods Sweet N Low Sugar Substitute 1 Grm. Sugar Foods Natutal Sweet N Low Sugar Substitute 1 Grm. Sugar Foods Sweet N Low Sugar Substitute Vend Bag 6.6 Oz. Sugar Foods Stevia In The Raw - 1 Grm. Sugar Foods Sugar In Raw - 4.5 Grm. Sugar Foods Sugar In Raw - 2 Lb. Sugar Foods Sugar In The Raw - 25 Lb. Sugar Foods Sugar In The Raw - 4.5 Grm. Sugar Foods N Joy Sugar - 0.1 Oz. Sugar Foods N Joy Sugar 0.1 Oz. Sugar Foods N Joy Sugar Canister - 20 Oz. Fresh Gourmet Tortilla Strips - 1 Lb. Chefs Finest Whipped Topping - 16 Oz. Fresh Gourmet Tortilla Strips Tri-Color - 0.5 Oz. Milk Substitute Almond Unsweetened - 32 Oz. Oatmeal Kit Crunchy Nut - 2.33 Oz. Oatmeal Kit Nut Crunchy - 2.33 Oz. Oatmeal Kit Morning Harvest - 3.08 Oz. Morning Harvest Oatmeal Kit - 3.08 Oz.